4. Pain relief: It can improve the body’s microcirculation, dredge and activate the meridians, eliminate local pain and inflammation. 1. 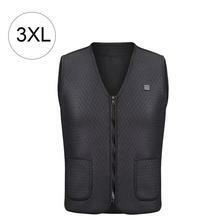 Vest features a built-in USB port to connect the power bank.